Out of the knowledge that "Our perfect bodies are only temporary," Dana Robbins has fashioned a compelling sequence of elegant memory narratives. 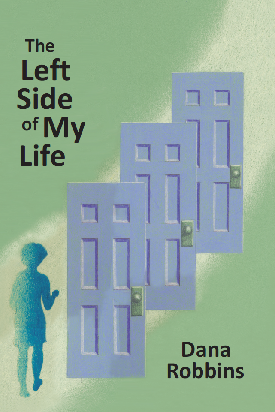 Deeply personal, THE LEFT SIDE OF MY LIFE is also a generous look at the world. Here is a radiant portrait gallery that includes Russian grandparents, Italian neighbors in Brooklyn, and a "speckled dog with arthritic legs/and crocodile breath." This is a collection of marvels of the heart, rich with humor, lamentation and wonder. ...Her poems are relentlessly narrative, and they have important tales to tell about politics, family, heritage, disability, all working seamlessly on the surface but also on the dream level of symbolism where the poem's roots entangle in the semantic shadow. cheeks and a scent of winter.